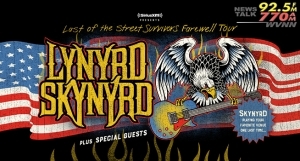 Win Tickets To Lynyrd Skynyrd – Aug. 31st At Oak Mountain! NewsTalk WVNN has your chance to win tickets to see Southern Music legends Lynyrd Skynyrd! 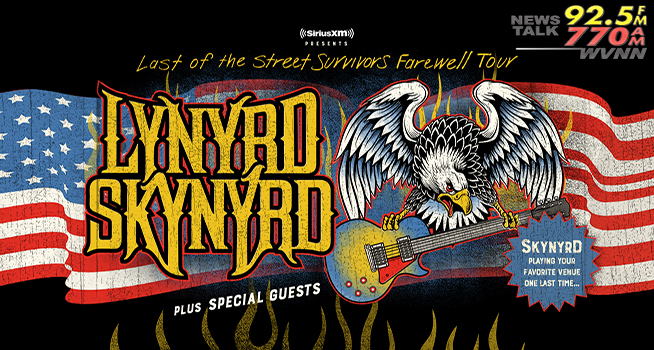 They’re bringing their “Last Of The Soul Survivors” Farewell Tour to the Oak Mountain Amphitheater on Friday, August 31st – its Lynyrd Skynyrd and special guests live on stage, and you can be there too! Tickets are on sale now – CLICK HERE for more show and ticket info, and listen to win your tickets with WVNN!